Dr. Alycia Jacobson grew up in Brookings, OR where she would often come help her dad, Dr. John Jacobson, here at Town and Country Animal Clinic. Though she grew up helping around the clinic, she didn’t discover her love for the business until high school as she started to work closer with the clients and their animals. Growing up, Dr. Alycia was active in 4-H where she showed cattle, pigs, and cats. She was also active in the Brookings community through her work in her high school’s leadership class. Dr. Alycia performed her undergraduate studies at Oregon State University where she was an active member in the Pre-Veterinary Medical Association. She graduated in 2014 with her bachelor’s degree in Animal Sciences with a Pre-Vet option. 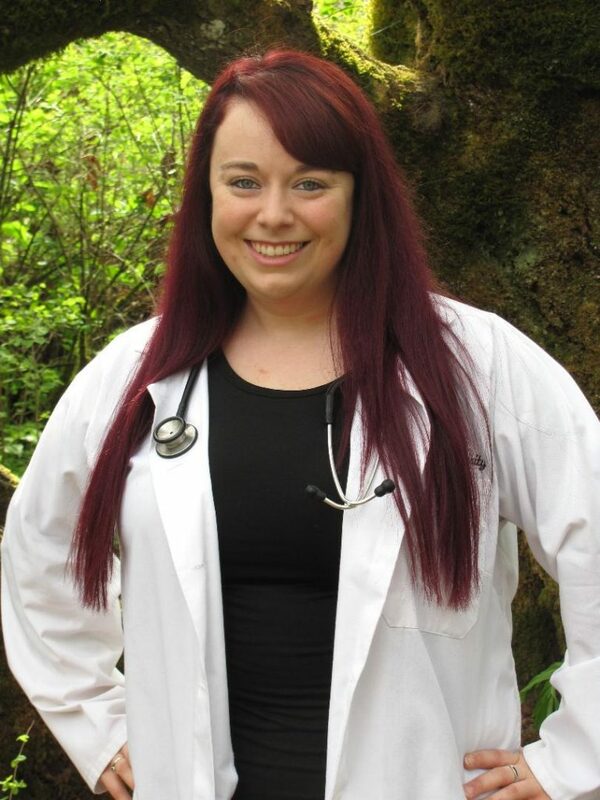 Dr. Alycia started seeing her dream become a reality when she entered Oregon State University’s College of Veterinary Medicine in the fall of 2014. While in veterinary school she was active in the Student Chapter of the American Veterinary Medical Association which allowed her to make connections with other student s and veterinarians throughout the country. Dr. Alycia joined Town and Country Animal Clinic in July 2018. She is interested in all aspects of both large and small animal veterinary medicine. She really enjoys interacting with animals as well as their owners. When she is not working, Dr. Alycia enjoys spending time with her family and friends. She loves to go camping and to take her corgi Oliver hiking. She is excited to re-establish her root and settle into her new home with Oliver and her cat Addison.